Celebration Host World’s Largest Swim Lesson – Sets New World Record! Have you heard about The World’s Largest Swim Lesson™ (WLSL)? The idea is really pretty simple. Just pick a single date and time for people across the globe to gather at their local pools. This year it was on June 14. And if you live at Celebration, Florida you could have headed down to Lakeside Park or Spring Park Pool to participate. In fact, 159 neighbors showed up to participate at these offical host locations for the 2012 WLSL record-setting event. The 2010 inaugural WLSL event established the Guinness World Record™ for the largest simultaneous swimming lesson ever conducted, all to build awareness about drowning prevention. Tragically, accidental drowning remains the leading cause of unintended, injury-related death for childrenages 1-5; and the second leading cause for children under 14. 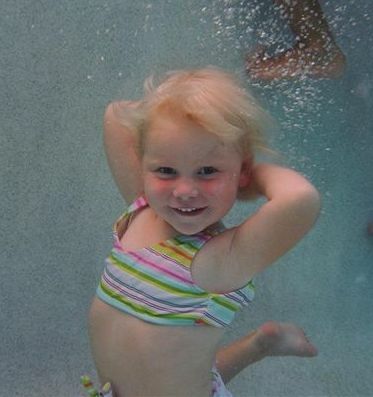 Participation in formal swimming lessons can reduce the risk of drowning by 88%. Last year’s WLSL event grew by over 400%, with over 20,000 participants, representing 13 countries around the globe and 45 US states. So was a new world record set? YES! On June 28, 2012 the WLSL team announced a NEW WORLD RECORD had been set for the largest simultaneous swimming lesson ever conducted! With thousands of pages of documentation reviewed (and many submissions still to count) the number of participants is expected to reach 23,000! We are proud to say that 159 of those were counted at Celebration — and have left their mark on history! Hats off to the Aquatics Staff at Celebration; the Summer Breakout Counselors at Celebration; all the volunteer witnesses (including Pam Beuttel, Kim Colon, Erica Cowin and Dianne & Lonny Tosi); and Celebration resident, Joel Kostuch, who captured a 360⁰ panoramic photo of our lesson at Lakeside Park Pool. Congratulations on setting a new World Record for a very worthy cause!